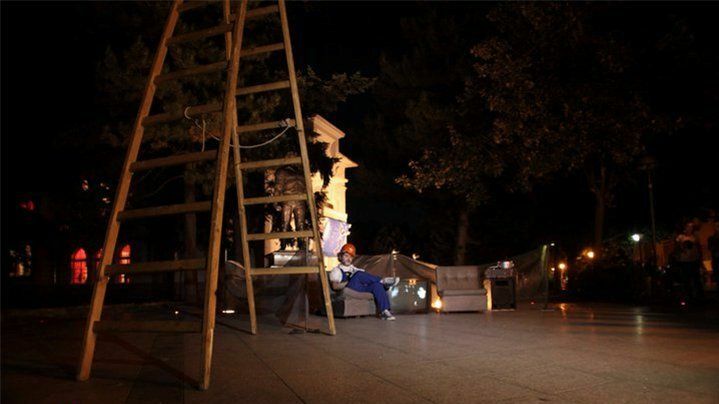 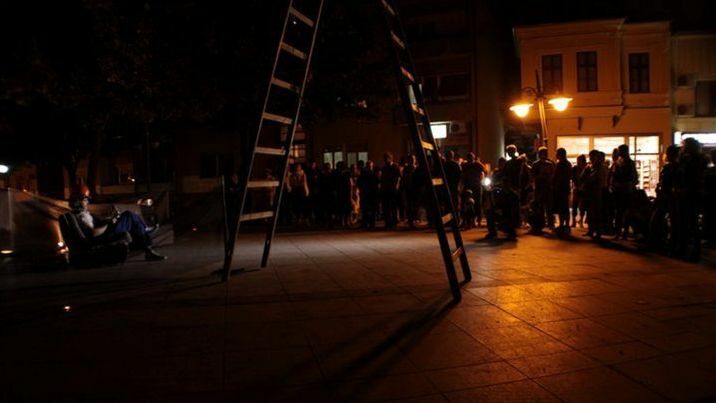 A performance in public space by artist Zoran Poposki in front of the Oficerski Dom in Bitola on 11 August 2011 at 8 PM will mark the start of the 6th International Festival of Contemporary Arts AKTO. AKTO will be held until Sunday, under the motto "(Never) Work", inspired by a graffiti "Ne travaillez jamais" by the French philosopher Guy Debord in the 1950s. The festival, which this year places emphasis on the visual arts and music, announced 30 prominent participants from Macedonia, Italy, Croatia, Bulgaria, Mexico and Finland, and over twenty famous musicians from Macedonia, Serbia and Canada. 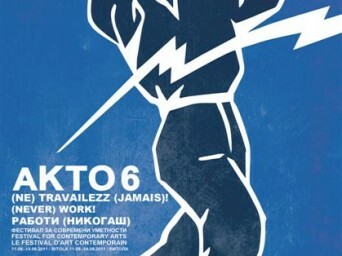 Artists include: Zoran Poposki, Igor Toševski, Neda Firfova, Atanas Botev, Filip Jovanovski, Nikola Uzunovski (Macedonia); Mancasola Basillico, Progettozeropiu (Italy); Beatrice Andre (France); Ania Puntari (Finland); Nemanja Cvijanović, Marijana Vukić, Petra Kovačić, Vlasta Delimar (Croatia), Detext, Warren Neidich (USA), Walter Steinacher (AT); Gaston Ramirez Feltrin, Ruben Gutierez (Mexico), etc.